Last month, the Sport Business and Leadership MSc students had the opportunity to visit the Royal Military Academy at Sandhurst with programme director Dr Steve Swanson. The full day involved a variety of activities including academic sessions and talks delivered by academy personnel on leadership from the military perspective. 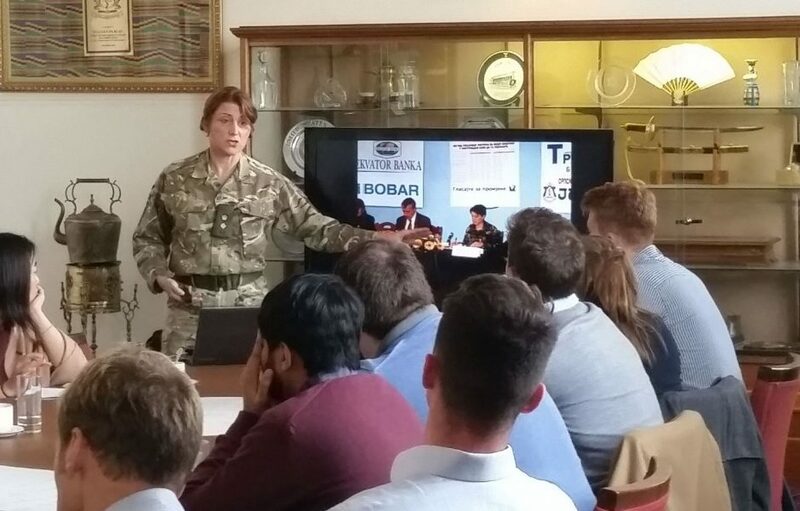 Students also had the unique opportunity to take part in a special session with the College Commander, Lieutenant Colonel Lucy Giles (pictured), and learn first-hand how her military service and current role have shaped her leadership philosophy. Our Sport Business and Leadership students enhance their understanding of leadership and business through regular on-location site visits at top sport organisations and other complementary leadership environments. This allows students to gain first-hand perspective from top leaders in their field. Loughborough University London would like to thank the Royal Military Academy at Sandhurst for their time and hospitality with our students.